Agi & Sam jumped on my radar straight after seeing their show at LCM a couple of seasons ago and at LCM this January they again didn’t disappoint. With Instagram going crazy over men with LEGO covered faces. 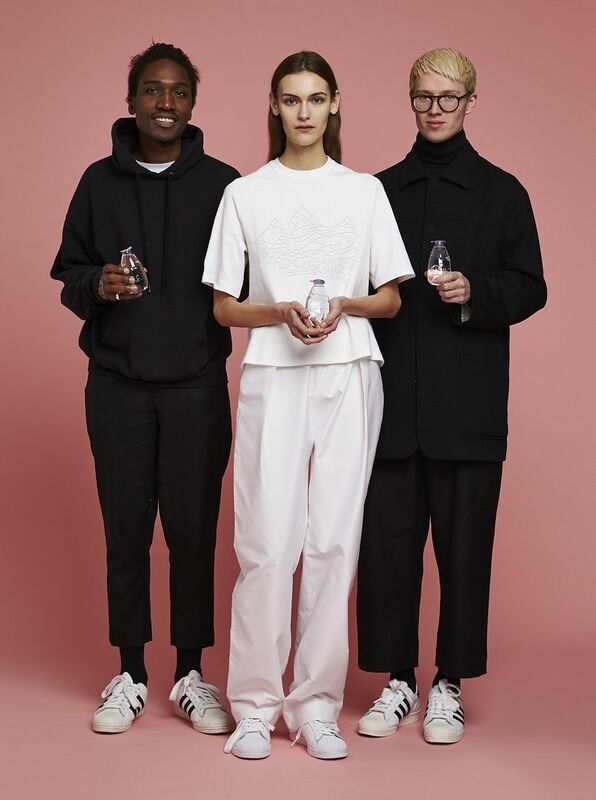 The design duo picked up the GQ Designer Award last year and with the anticipated leap into womenswear fashion coming this month, they have wet our appetite by teaming up with evian® to launch the pure drop T-Shirt. The pure drop t-shirt is inspired by evian’s new pure drop dinky bottles and evokes the pureness of the water by creating a clean white tee made with the purest unbleached Sea Island cotton. 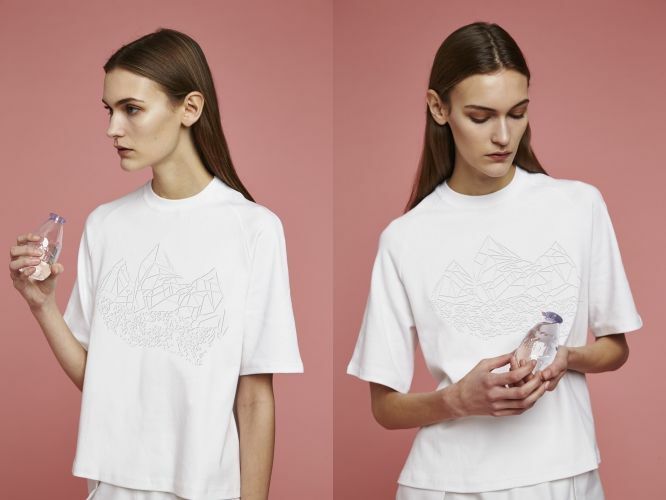 The T-shirt has a design embossed on the front which was inspired by evian’s iconic three peaks. The duo wanted to make sure the t-shirt really reflected the brand so kept it as pure and white as possible and with a boxy cropped fit and an oversized cut which fits in with the normcore trend perfectly. The evian® pure drop t-shirt is available to purchase from www.agiandsam.com at £90. Each t-shirt comes in a presentation box with a bottle of evian® pure drop. With 15% of the profits going to Fashion Awareness Direct.